Willy Shee is the Chairman of CBRE, Asia. Leading a team of over 7,000 real estate professionals. Willy Shee works closely with the firm’s Asia Pacific Strategic Group to set the direction on the expansion of the overall business of CBRE throughout Greater Asia and the regional hub of South East Asia. He liaises closely with regional priority clients to ensure cross border strategies are delivered to the highest standards throughout the region. Mr Shee assumed the role of Chairman, Asia, in 2005. 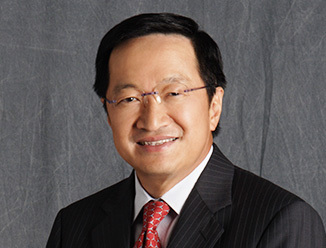 Prior to his chairmanship, he was responsible for the growth of CBRE Singapore into one of the leading property consultancies in the country and around the region. He is Chair of CBRE’s ‘Asia Circle of Excellence’, an annual awards program that recognizes outstanding performers across Asia. Mr Shee has established himself as a trusted negotiator with an excellent contact base with all major property players in Singapore. He has been credited with many of the top deals in Singapore. He is frequently interviewed on television and in print media for his views on the market and about strategies for marketing and leasing properties in Singapore and the Asia Pacific region.